Lotus Notes emails are stored in NSF file which stores emails, calendars, to-do lists, etc. This file can be accessed using Lotus Notes email application only. But what if users want to access NSF file and does not have Lotus Notes application installed in the system? Or what if user is having lotus notes application and don't know how to open NSF files in it? In that case, users will not be able to view the emails. There are many situations where users face such problem and are unable to view the emails due to unavailability of Lotus Notes application. Our NSF Viewer was built to resolve this issue where users are not aware of how to open NSF files. This application is a foremost solution which allows adding NSF file easily letting users view the emails. Software is designed with powerful technology and algorithms at the backend and needs no expertise to view the emails. It is capable to show all the elements of the Lotus Notes email file including emails, calendars, journals, and to-do lists. All the folders can be viewed separately and the count for items inside the folder is also displayed. Preview can be customized by sorting the items by their attributes like; from, date, subject, size, etc. It is an advance tool which is capable to let users view all the data without much of fuss. The most important feature of this tool is it does not require any technical expertise or external help for executing the tool. 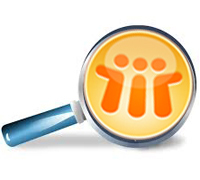 NSF Viewer is built with many adept features and one more such feature is its extended support towards all the versions of the Lotus Notes. Tool supports NSF files belonging to any version and this makes this tool versatile for broader range of users. If you are having NSF file and you are not aware of the version of file, need not to worry as our software supports all NSF files. All you have to do is download this efficient NSF Viewer for free and get benefits of it.